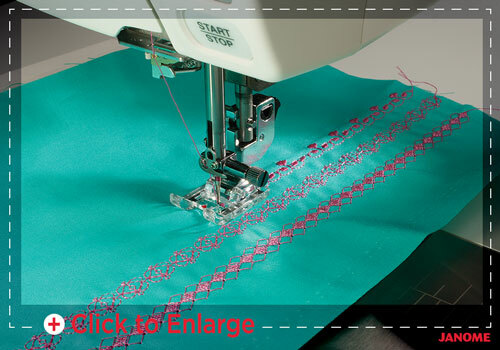 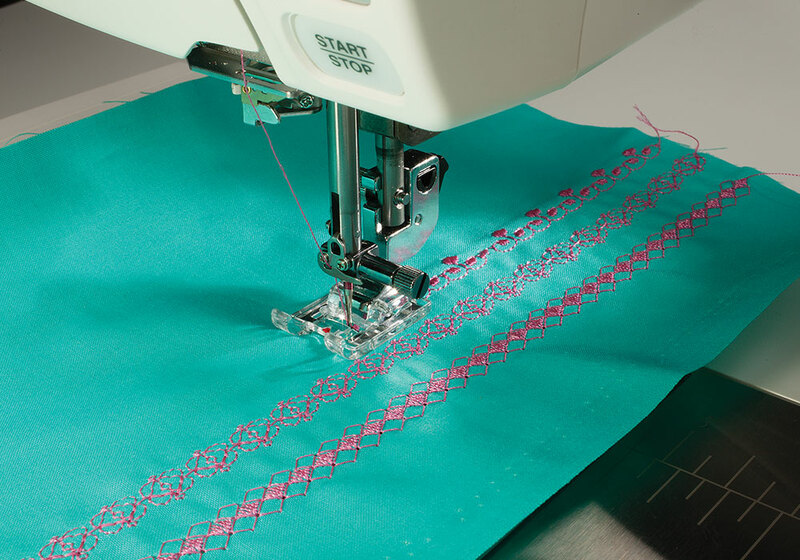 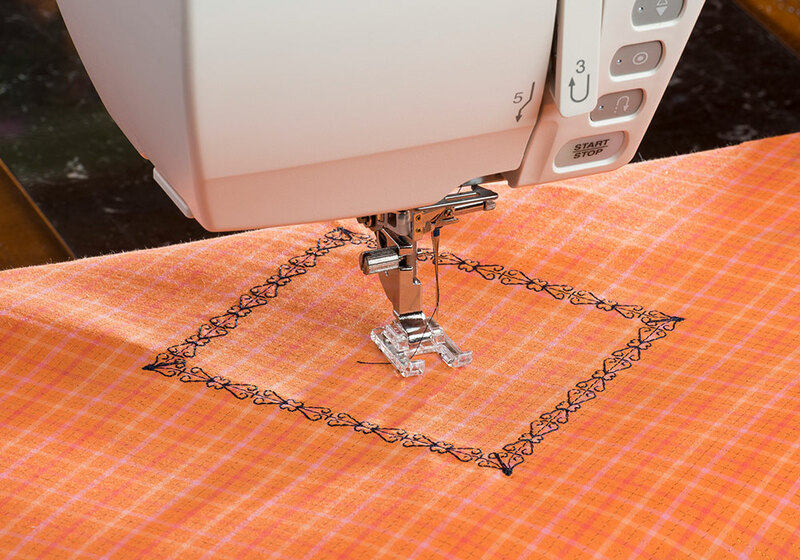 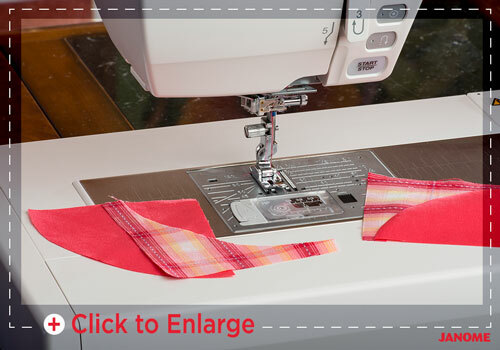 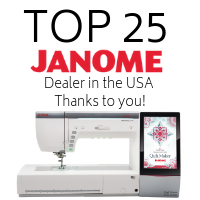 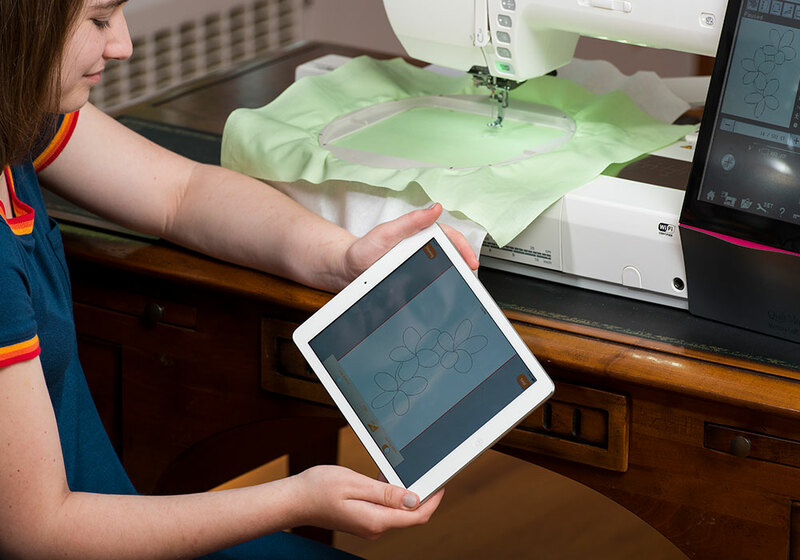 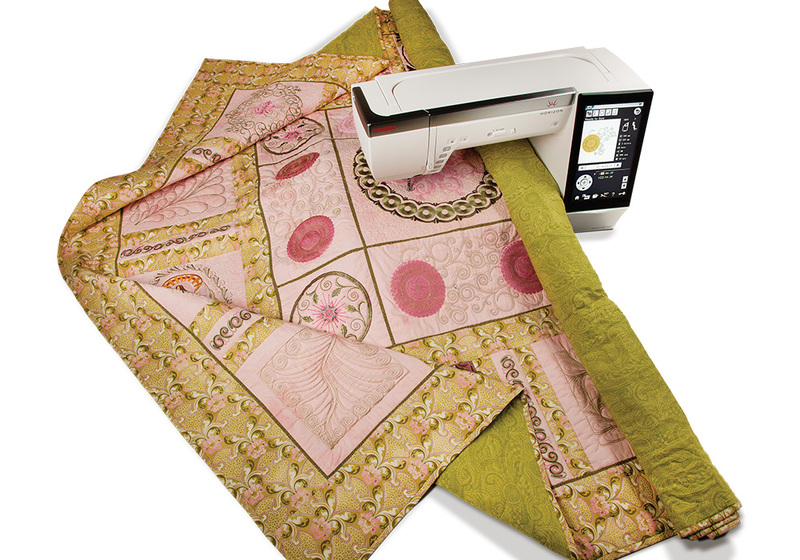 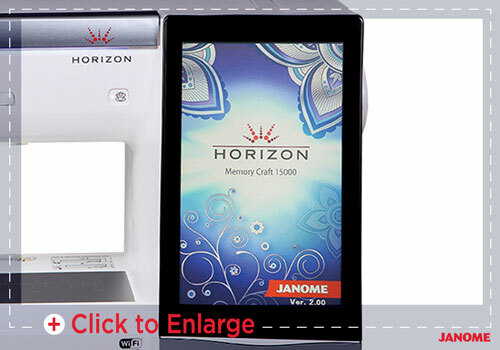 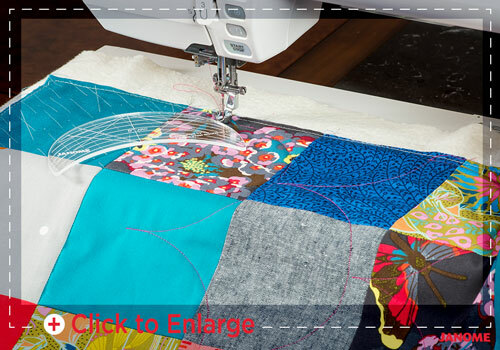 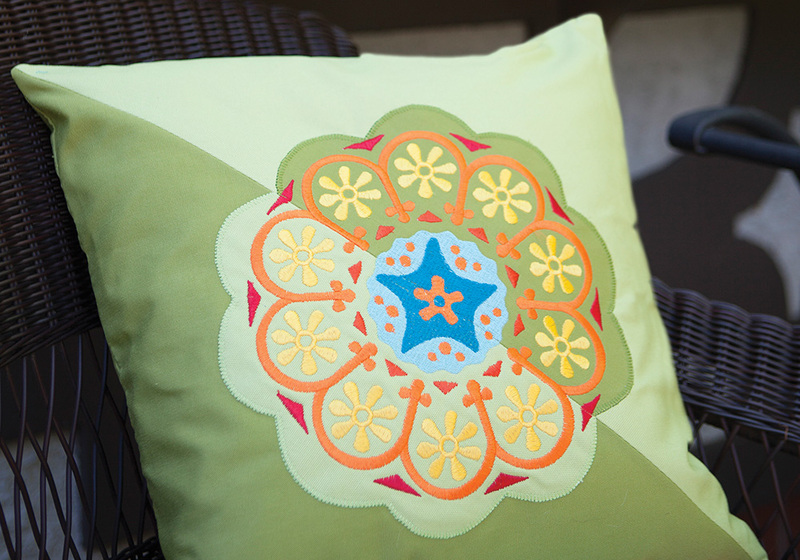 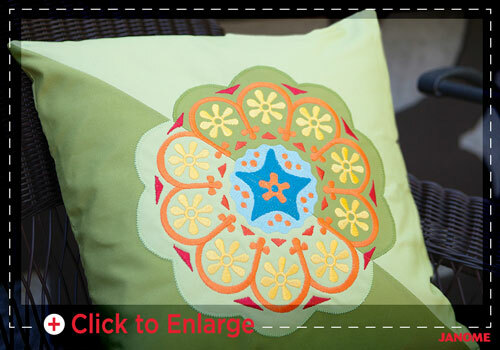 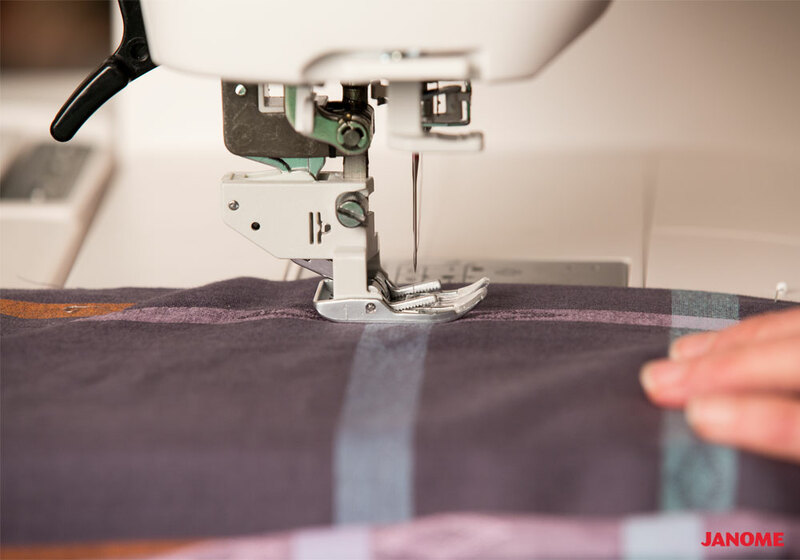 The all-new Janome Horizon Quilt Maker Memory Craft 15000 is a will help you launch just about any creative endeavor - quilting, sewing, embroidery... With wireless connect via your PC or iPad and Janome's fastest processor to date, you'll be there in no time. 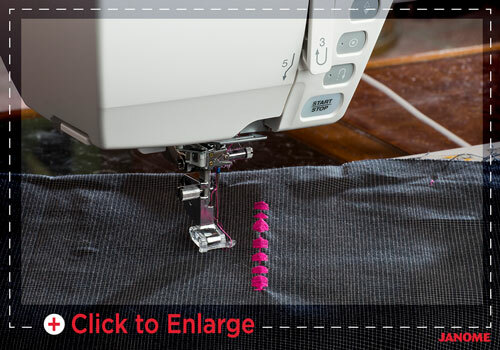 And the size is fantastic. 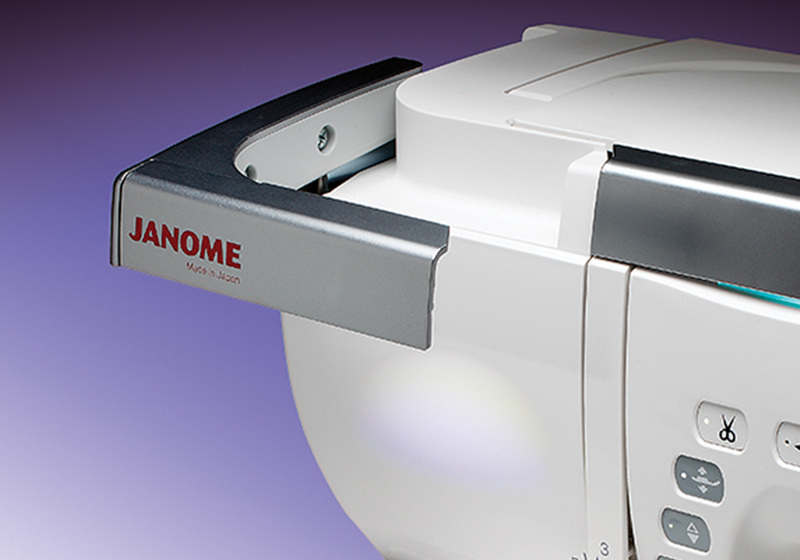 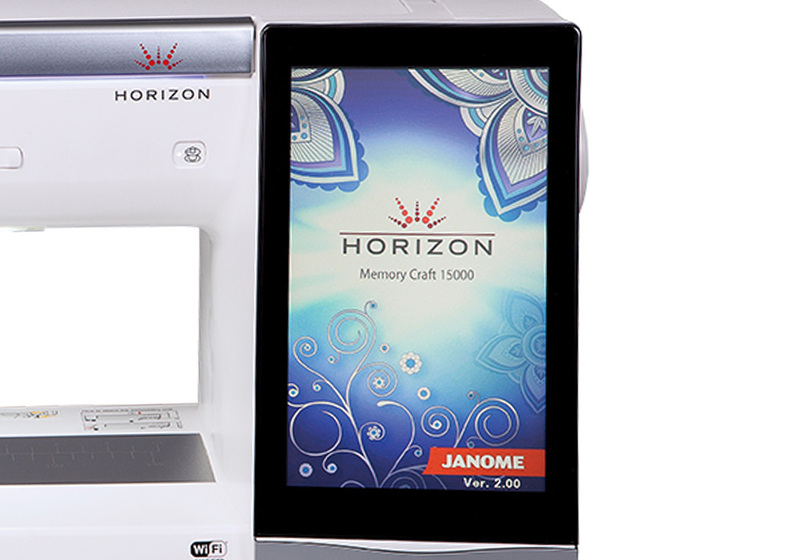 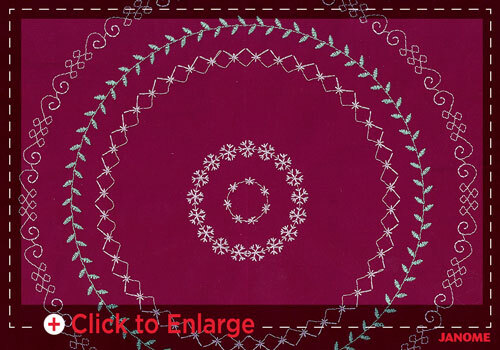 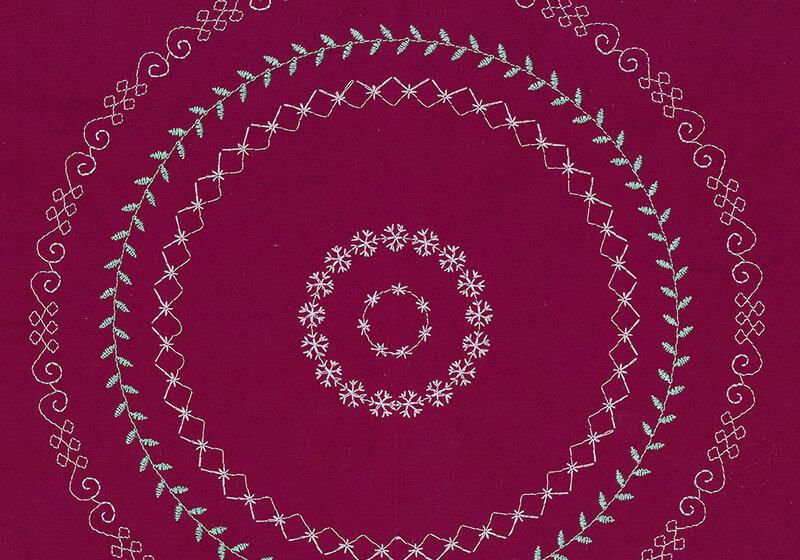 The Horizon Quilt Maker MC15000 comes standard with our largest hoop and has the largest touch screen we've ever made! 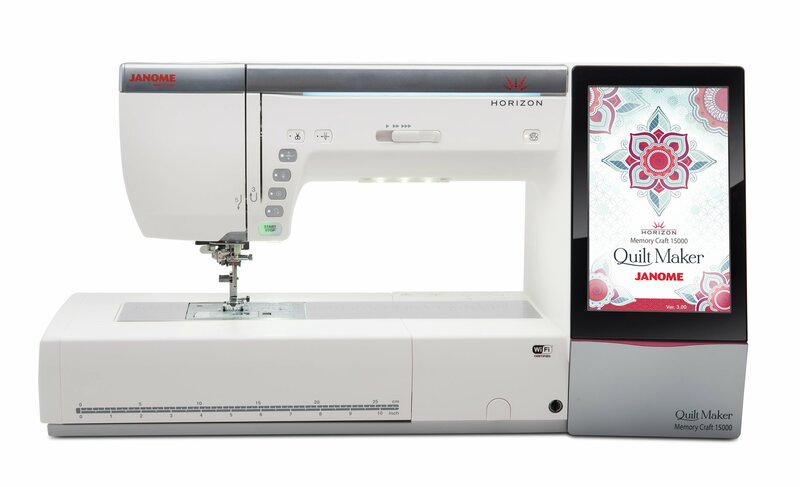 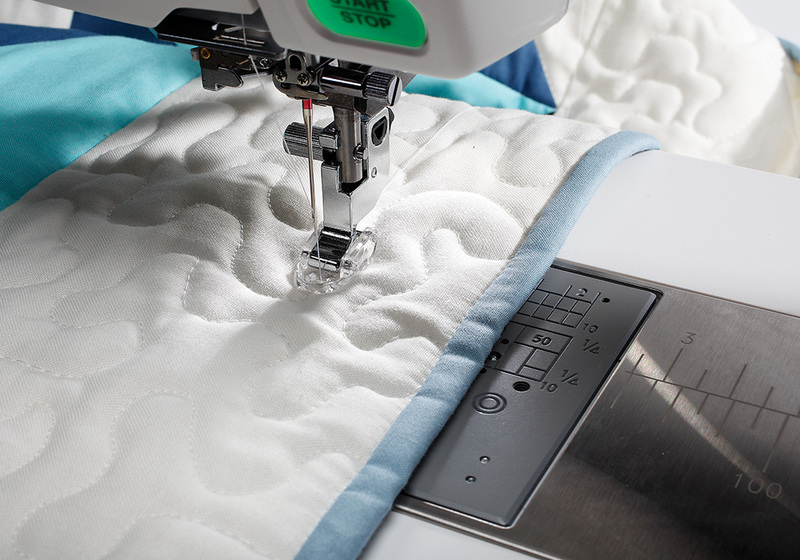 No matter which direction you head, the new Horizon Quilt Maker MC15000 can take you there. 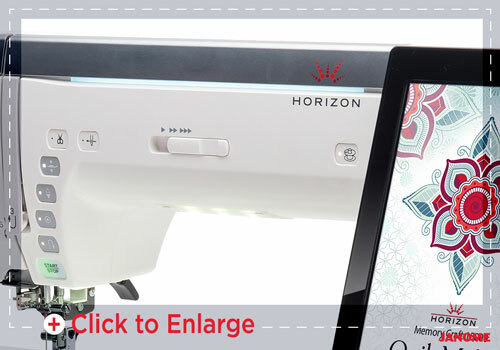 There’s extensive LED lighting for a shadow-free work space. 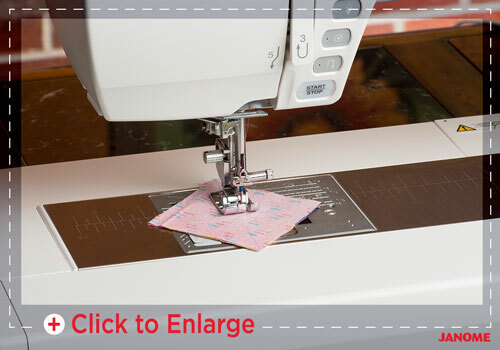 For even greater illumination in the needle area, pull ou tthe High Light™. 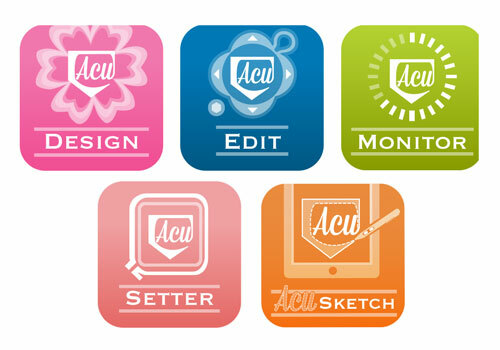 It works in conjunction wiht the AcuView™ magnifying system, which includes 3 lenses of varying strengths. This machine is available in-store after September 2, 2017. Please give us a call at 207-474-9628 for information.